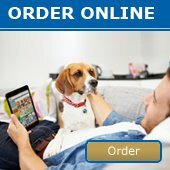 Prices rising- Feb 2016 - News - Prestige Pet Products Pty. Ltd.
Due to supplier prices increasing, some of our products will unfortunately be incurring price increases as of February 1st 2016. Please also note: As of March 1st 2016, another price increase may occur across many more product ranges. ***UPDATED*** The March 2016 price rise has been moved back to April 4th 2016! - Items included in the February 2016 price increase will not be affected in March 2016. - All new pricing will be included in the new pricing booklet to be sent out with our new catalogue. - Always check our website for the most up to date pricing.